GO PLACES AND LEARN STUFF TRAVEL SERIES. Lead by Jill Hunger, an experienced geology teacher and American history buff, this journey includes some of the most glorious natural wonders in North America. 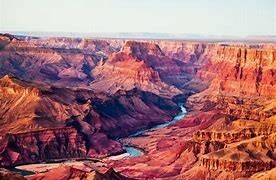 We’ll fly to Las Vegas to begin our exploration of eight (8) Southwest National Parks and Monuments. Our trip will conclude in Denver where again we’ll fly back home. (Optional roundtrip motor coach travel is available – call for details.) This is not just a trip to the Grand Canyon—it is so much more! Arizona, Utah and Colorado have stunning scenery, and the National Park System has protected them as your national legacy. You owe it to yourself to experience them; this guided tour may be the easiest and most informative way to get the most out of your legacy. We’ll visit the following Parks and destinations: Grand Canyon; Zion, Bryce; Escalante Petrified Forest; Grand Staircase; Natural Bridges; Monument Valley; Mesa Verde; Black Canyon of the Gunnison; Pike’s Peak; and Garden of the Gods. Geologic and/or historic interpretation will be provided at each park. While on our exploration the following is also included: view Hoover Dam and take a boat tour on Lake Mead; “on your own” time in Las Vegas; IMAX experience at the Grand Canyon; scenic drive through the Grand Staircase plateaus; picnic lunch at Lake Powell; stand in four states at once (Four Corners Monument); scenic steam train trip in the San Juan Mountains from Durango to Silverton; soak mountainside at the Ouray Hot Springs; ride the famous Silverton to Ouray Million Dollar Highway; tour a gold mine; walk over the 956’ high Royal Gorge Bridge; and visit the U.S. Air Force Academy. Round trip air, deluxe motor coach transportation, and 16 meals are included. Optional cancellation insurance is available for $259/person ($364 for single) and must be paid with the deposit. A $250 trip deposit is required at sign-up with balance due July 25. This trip requires moderate to significant walking/hiking on uneven ground. This is an integrated trip with some special needs Travelers and their staff also attending. Departures from LaValle, Reedsburg, Baraboo, Sauk City, Lodi, DeForest, Madison, Johnson Creek & Milwaukee.